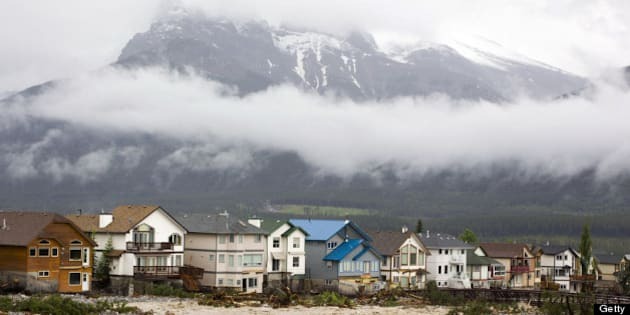 People in southern Alberta communities where boil-water advisories have been issued face a threat of illness from microbes and parasites if they don't follow recommendations, health officials say. Residents should boil all water used for drinking, preparing food, beverages, ice cubes, washing fruits and vegetables or brushing teeth, according to Health Canada's website. Alberta Health Services lists boil-water orders for areas such as Canmore and High River. Calgary does not have a boil-water advisory in place. The city's mandatory water restrictions against washing cars and watering lawns remain. People are asked to limit indoor water use, such as taking showers that last five minutes or less. To kill disease-causing organisms, water should be brought to a rolling boil for one minute. - Unacceptable levels of disease-causing bacteria, viruses or parasites in the water system anywhere from the source to the tap. - Unacceptable levels in the cloudiness (turbidity) found in the water at its originating source. Water quality can be compromised by inadequate filtration or disinfection during treatment or recontamination in the distribution system. An extra step that is sometimes advised is to wash hands in diluted, unscented bleach (one millilitre or 20 drops of unscented bleach per litre of water). After the advisory or order is lifted, pipes need to be flushed and water heaters may need attention. Guidelines for Canadian drinking water quality specify limits for disease-causing organisms and harmful chemical substances. Municipalities collect and analyze water samples to enforce the guidelines and inform the public of risks.